You may change your level of support or cancel it at any time, including after a single donation. One-time donations (of up to $100 in value) can now also be accepted in Bitcoin and Bitcoin Cash. Why should I support this work? 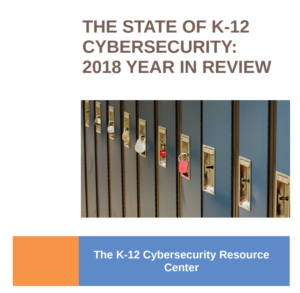 Keeping the K-12 Cyber Incident Map and related resources up-to-date takes a substantial amount of time, as does the production of original research and commentary on school cybersecurity-related issues. All of this costs money (as do the hard costs associated with hosting and maintaining a website). The main reason to support this work, thus, is to keep it independent and online. Why not just use Patreon (or service XYZ) to manage donations? Patreon, while convenient for many, is a third-party service that seeks to manage and control the interaction between creators and their supporters and beneficiaries. As such, they can change their terms of service, raise fees, and/or extract data about creators and users in ways that are less than desirable. It is for this reason that direct donations are preferred. What are the differences among the supporter levels? If you benefit from this work in your capacity as a school, non-profit, or for-profit company employee, please consider the Institutional/Corporate Supporter level. Paying annually offers a discount over recurring monthly support. How can I pay to support this work? Payments to EdTech Strategies, LLC are processed by Stripe, which accepts Visa, MasterCard, and American Express only. One-time donations of cryptocurrency (Bitcoin and Bitcoin Cash) are processed by BitPay. Other payment terms may be entertained by contacting us. To update payment information or make changes to your level of support, sign in to your account here. While changes or cancellations to future pledges of support can be made at any time, purchases made are final and nonrefundable. EdTech Strategies, LLC reserves the right to waive that policy on a case-by-case basis, but is not obligated to do so.